Anyone who lives in Chicagoland knows we are experiencing some unseasonably warm weather. Bright skies, longer days, and 50 degree weather brings the feeling of spring much sooner than we are used to. However, winter has been known to make an appearance or two in May and April, so enjoy the beautiful weather while you can. Here’s how to make your home inviting to the warm days and sunny skies ahead. Dirty, streaked windows are a gross reminder of winter’s weary weather. Celebrate the sun’s warmth and bright rays by getting your home’s windows professionally cleaned. Clean windows will allow the sun to better penetrate your home, adding brightness with natural light. It will also work to help warm your living spaces, reliving some of the pressure off of your heater. Professional window washers Chicago will provide a thorough cleaning to your windows while getting at those hard to reach places that would be too dangerous for you to attempt yourself. Call Prime Time Window Cleaning to schedule an appointment. Debris collects in your gutters all season long so it’s important to have routine gutter cleanings so that your gutters can do their job properly. If gutters become blocked they can end up causing water damage to your home, which is costly and inconvenient. A professional gutter cleaning service will clean out the debris from your gutters and the crevices surrounding them. 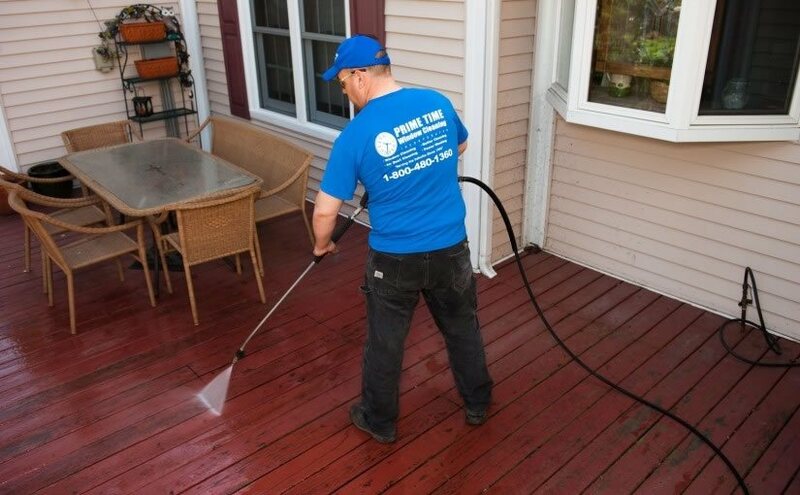 Prime Time Window Cleaning offers professional cleaning services at an affordable rate. Call us today to schedule your home’s gutter cleaning appointment. Spring weather finally feels like it has arrived, so make sure your home can enjoy the full extent of that change. 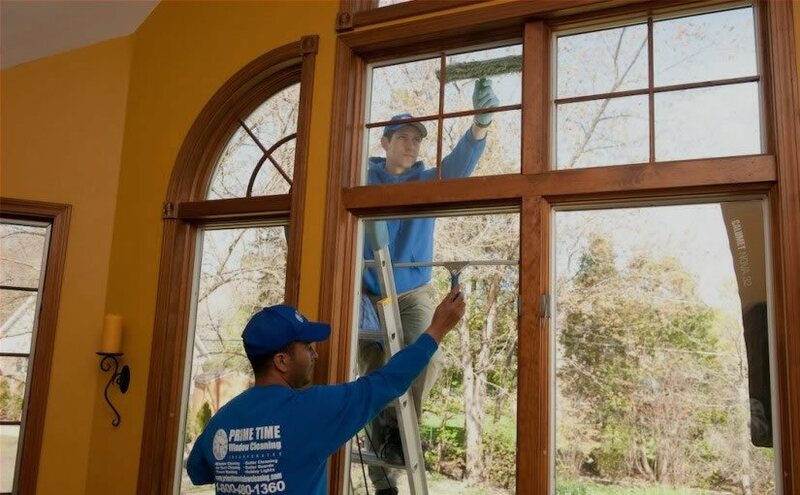 Prime Time Window Cleaning offers professional cleaning services to get your home looking as good as new. Call us today to schedule your appointment!